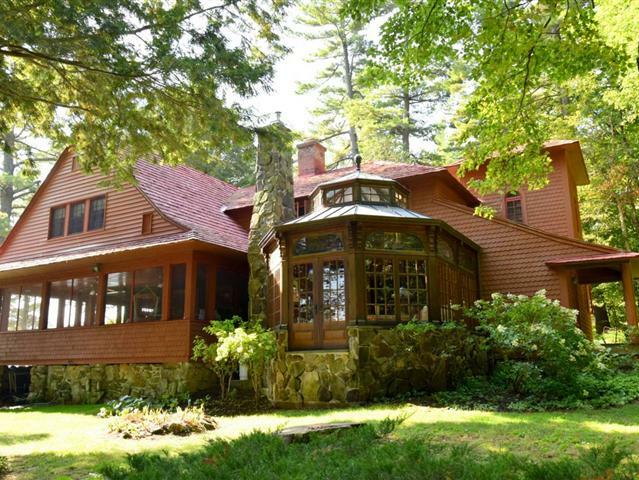 Captivating island property on Lake George in Bolton Landing. 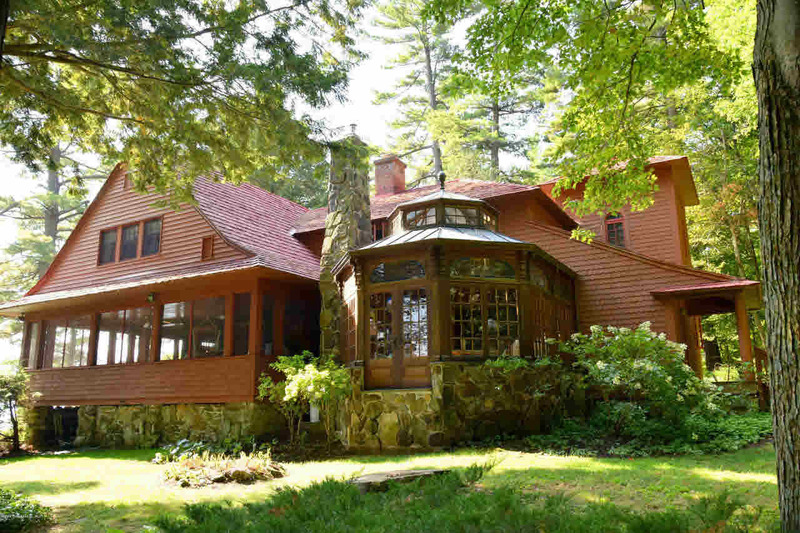 This Adirondack Great Camp style home is c.1908 and upgraded in 2003. Includes 700' of shoreline and is beautifully situated on 2.4 acres of nicely wooded grounds with glorious perennial gardens. Room for all with 3000SF of living space, 5BR, 3 baths, custom kitchen with great storage and high end amenities, massive stone fireplace, breathtaking conservatory with fireplace, soaring ceiling and stained glass, plus a spacious enclosed porch and screened porch. Additional entertaining space over the irreplaceable boathouse with wood-beamed party room and open sundeck. Plenty of docking beneath and on the outside docks. Enjoy the adventure you've always dreamed of.